The narrator was great. I have no complaints about him at all. The problem with this book is that there is literally an hour of plot and 17 hours of "character development". The premise is extremely interesting, but this isn't a case of bad execution, its a case of NO execution. 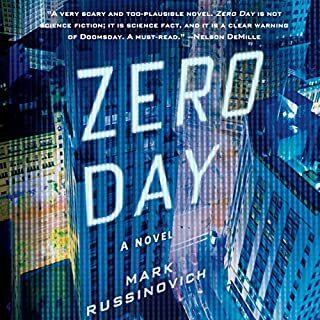 This is a book where millions of people die of a virus, the world is attempted to be taken over by a secret organization, but the ONLY mention of the public and how they react is the hospital being messy. Seriously? I get that you need to leave some things for the next two books, but that doesn't mean you ONLY do character development in book one. What was most disappointing about A. G. Riddle’s story? All of the people raving about this book either haven't read it or are just fanboys because of his previous series, which I enjoyed but did suffer from some of the same issues. No where near as bad though. Extremely disappointed, although I do believe this series will get better. 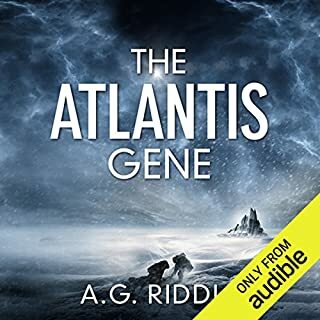 This is not the first A G Riddle book I have read - that was The Atlantis Gene - but it is likely to be the last. While I found The Atlantis Gene long, tedious and a bit boring, Pandemic is a mixture of interesting character development and an incredibly complicated plot. We are asked to believe that one of the characters set up such a complex set of hoops for himself to jump through that it was hard for me as a reader to follow them, but that the character was then able to get through those hoops successfully. I am willing to suspend belief up to a point, but this book passed that point as soon as the entire plot came into clarity as one of the main characters began to remember what was going on. I am sorry, but it would be just too much for me to swallow even if I believed that science could identify individual memories in a person’s brain and sequester them without doing the same to the neighboring memory. I would be more specific but I try to never include spoilers in my reviews. Some of the book is quite interesting as we find out about the history of the individuals involved, but that takes up a small part of an incredibly long story which I would have found far more interesting if it had been subject to some decent editing. This might well have been a good 11 or 12 hour book, but 19 hours is just too long for this story and I lost interest about half way through. I almost gave up on it and moved to the next book in my wish list, but thought that if I waited long enough perhaps something worthwhile might show up. I was wrong and, as an added bonus, this is the first book in a series. On the positive side, the narration was quite good with distinct voices, regional accents and an involved narrator. A pity the book was not up to the quality of the narrator. struggled to finish. it was just kinda boring. Too much back - from- the - dead silly coincidences. It was interesting most of the way through, then when the technology entered in, it got a bit unbelievable. The wrap up at the end is simplistic and pat. Even then, not everything is resolved so a sequel is required and guaranteed. And it's hard to decide how to feel about some of the people. It was hard to keep some of the characters clear; their names are even too similar--Elliott, Elim, Milam. Elliott started out in an important position and then lost it, so it was not clear why he was important to the story. Mr. Ballerini does well of course, but the women's voices weren't always clear. Would you try another book from A. G. Riddle and/or Edoardo Ballerini? Probably not based on this massive waste of time. Has anybody seen the missing plot? Anybody? At Chapter 74 and still no plot. But my head hurts from the excessively repeated character &quot;development&quot;. Enough already! This is the problem with books that are planned as a series. Way too much time is spent stretching things out. He could have read twice as fast. It's my own fault for not doubling the speed. That might have helped the reader sound better doing female voices. He was horrible at that. It was very distracting. Could you see Pandemic being made into a movie or a TV series? Who should the stars be? I am going to start giving more weight to negative Amazon reviews and less to 5 star reviews. Obviously, there is a taste issue going on here. Someone said in a review "equal to Creighton" NOT EVEN CLOSE. The mistakes regarding routine medical treatment, science/biology in general are so annoying as to disrupt thee story entirely. For example the incorrect sequence using an AED, lack of understanding of consequences of smoke inhalation the list is endless. The action scenes were ok but really the whole storyline was poorly executed. Please End. I ended it with 15 mins left! 80% of book excellent. Last 20% was impossible made possible way to much coincidental events. Ending so unbearable and unreachable i pulled the plug with 15 mins left. I wish it were a bit shorter and had less plot lines. Edoardo Ballerini is,as always,at his best with a great performance. 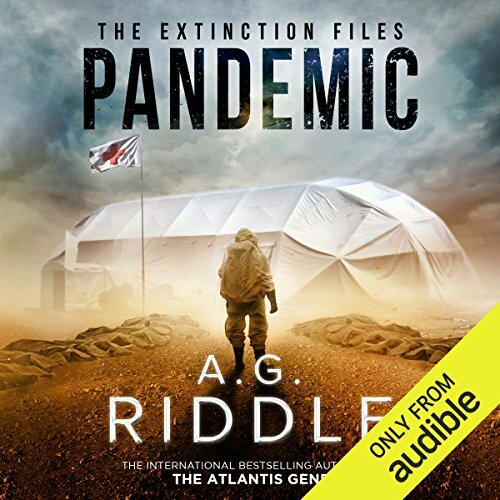 When I first chose to listen to Pandemic I was a little concerned that this was going to be another one of those 'virus outbreaks - followed by a race to find the cure' sort of stories. Wow, I was happlily proved wrong! There is so much more to this story, as layer after layer is revealed, and the story twists and turns until the very end. The premise of the story could easily be straight out of a Bond story, however the book is much more complex, and to describe it as such just wouldn't do it justice. 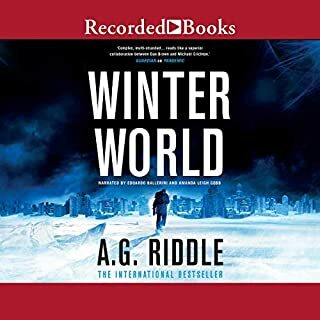 This is highly recommended, and I'll certainly be listening to more from A.G. Riddle. Top performance from Edoardo Ballerini too. First time I've listened to his narration, and I'd put him right up there with Audibles best. This is a bad book. It felt like the author wrote a spy thriller, and a book about a pandemic, then thought to themselves "Why not?!" and mashed them awkwardly together. This does not work as a coherent story. People are able to take part in action sequences whilst suffering an Ebola like illness that kills in days. None of the logistics in the book work. I do not feel bad about returning this book, given that the author did not feel bad about cutting and pasting from other sources (seriously, the section on air bnb in Germany is lifted straight from a guide book. It made me genuinely laugh out loud). The only points this book gets is for the narration, which was decent. I can find nothing positive to say about this boo.k. Basically it is just badly written. Wooden dialogue spoken by plastic comic book characters., with a breathy theatrical narration. Much of the 'tale' is told through the cast narrating events to other members in long dialogues, tedious and lazy. Amazed that i stuck in thereb so long, under all the crud there is the hint of the possibility of an inteesting plot, but in the end - five hours still to go- I was losing the will to live. It Started off ok but you soon start thinking hang on a minute weren't they infected a few chapters back why don't the main charictors seem to die . By halfway through you just think oh ok so none of the main charictors die no matter what ,i can live with that but then the story just drivels on and on i think they should have cut a third of the book out and kept it sharp and snappy about controlling a virus, but then i suppose it had to lay the ground work for other books with james bond bad guys and secret enemy bases as well as flying all over the world in what feels like minutes . There are sombre good bits in the plot . I don't read allot of fiction but there is much better than this . 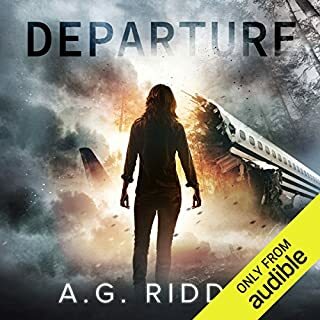 This was my first audio book experience, and I loved it! The storyline was great, with some really strong character. The narration was really impressive too, and I soon learnt to distinguish which character was which, by the tone of voice and accent use. I'm really looking forward to listening to the next book in the series. This book is similar to previous Atlantis trilogy - in both the plot and characters creation. With is both good and bad - to mine personal opinion I enjoy the story - not so much characters - creation is better than previous A.G R books but still need some improvement :). Some said in review that it not feel plausible - and sadly I have to agree with that - to minie opinion that does not mean that you can't have fun reading it - I sure did. 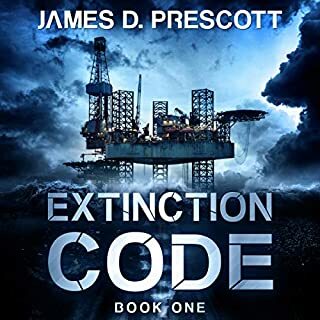 If you liked previous A.G. R. book (as I did) you should liked this one - but is in the same level (overall) as Atlantis trilogy - you will not get disappointment but I would keep expectation as I said on the same level as Atlantis books. IMHO i would expect more form this author -since i liked his previous creations - and this is why i gave 4 stars instead of 5. I enjoyed the start of the book detailing the response to the outbreak but then got completely lost in (and bored by) detailed back stories and implausible plot points. I didn't manage to finish. I thought the narrator did his best with poor material. Too complex with too many impossible coincidences. I found it just annoying in the end. Constantly going back in history to create excessively detailed back stories for new characters that appeared from nowhere. Really quite predictable in lots of ways. It ended up being a a battle of wills. Me against the book. I didn't enjoy it, I endured it. If you've got a book with many many Australian characters, hire a narrator who can do an Australian accent. Every time an Australian character started speaking I cringed and it (among other things) eventually made me stop listening. The story is very drawn out and all over the place. I agree with many other comments that it's about 10hours too long and has many story lines that are unnecessary. A really shame I got about 8 hours in and wanted to give up, gave it until 13 hours and then really did give up. Narrator needs to work on his Aussie accent. A great story and I enjoyed the plot thoroughly. However the narration, particularly the Australian characters, was atrocious. If you are going to produce a book with many Aussie characters, please employ a narrator who can do an authentic accent. I cringed every time he attempted to speak in an 'Aussie' voice. It almost made me give up and miss out on a great story. imagine a new Zealand accent mixed with a drunk angry constipated south African, and that is their idea of the Aussie accent. I am not usually bothered by bad accents, but this was incredibly bad. The rest of the performance was great, but there were way too many Aussies. I recommend you get the Kindle and read it rather than subject yourself to this accent. In his defence, the Aussie accent is difficult, but seriously, get an Aussie to verify it before you subject the world to it. Some aspects were interesting but overall it was a cliché secret-agent-with-amnesia genre book. Pandemics are fascinating in themselves and the done to death overplot detracted from the book's potential. The narrator had a good voice to listen and expressed well. It has to be a difficult choice when the characters are international - to do the accents or not. The narrator chose to do them, but didn't do them at all well, and this was winceworthy. It's probably necessary to get someone from country to model those parts or not do them, rather than guessing at them. Amazingly detailed, scientific and futuristic as usual from A.G Riddle. Another original and amazing plot. The only thing that kinda got me was the performance. Some of the characters are Australian. I can appreciate the American narrator trying to get into the characters, but him putting on the accent was sooooo cringeworthy and horrible. I almost couldn't do it for a while in the beginning. The author is adept in depicting human nature and interaction while taking us through some significant science and multiple dramas (including flashbacks to the past). My main gripe is the shocking 'Australian'. Sounds South African/a bit British Cockney at best! Loved it! The narrator registered the fear and the urgency of action to save all from the sickness. More than what I was expecting. Believable premise with great cast of characters. The planned pandemic being one part of the looking glass project that is building on over 2,000 years of conspiracy theory about evolution and man’s place in the universe. The back stories of lead characters, both heroes and villains was of particular interested and really enriched the storytelling.